For today, I’m going to show you the “fail” of the week. Well… what did you notice?? Everything except the pictures, addresses of the properties sold, and agents! It’s really mind boggling. 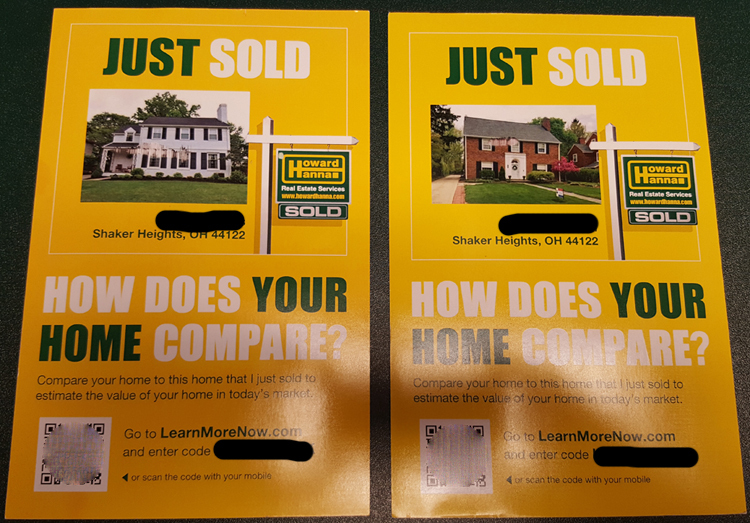 These two agents paid a company to use a their standard template that includes the same wording, color, offer, and size, just so they can put in their own picture, name, sold house, and the address/person they want it to go to. That’s it! Please, whatever you do… don’t do this!! There’s only one thing this postcard is good for and that’s for the broker! Why? Because they didn’t have to pay for the postcard, and it’s branding for them every time one of their agents sends these postcards out. It’ll be kind of hard to brand their own personal name when other agents are sending out the same postcard. Who’s the prospect going to remember? The broker, that’s who! 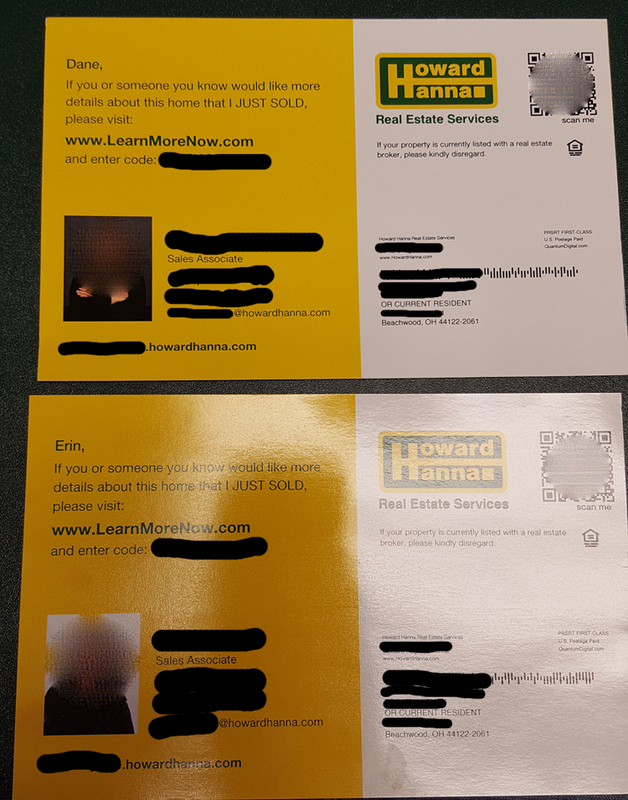 Certainly not the individual agents using the same exact postcard. So lesson here… BE DIFFERENT and DON’T BE BORING! Got it?! Okay, great. Now go take action!